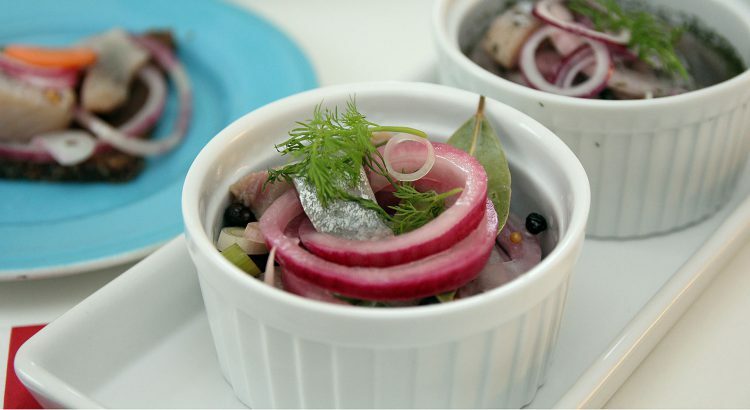 Sursild is the most traditional Norwegian food recipe of pickled herring. It’s eaten year round but especially during the Christmas season. 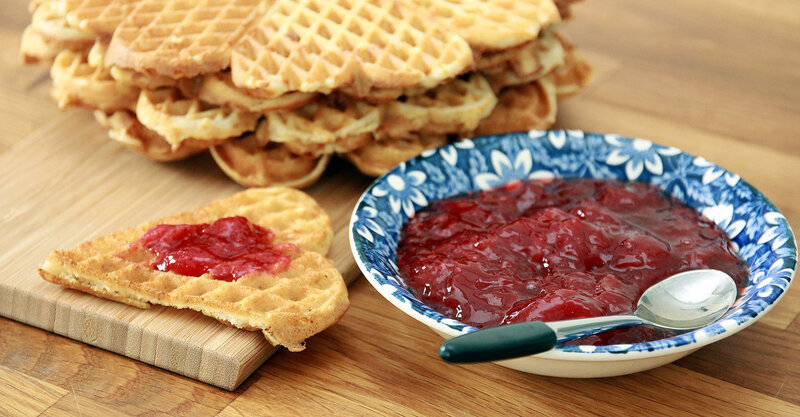 Sursild has long traditions in the Norwegian diet. Other popular types of pickled herring is: Glazier’s herring (glassmestersild), Herring in tomato sauce (tomatsild), Herring in sour cream (Rømmesild), Herring in mustard (sennepssild), Herring in spices (kryddersild). It’s time to make your own Sursild. Directions: Soak the herring in water for at least 1 hour depending on how salty the herring is. Drain the herring, rinse, and pat dry. Cut the fillets crosswise into 1-inch strips. Combine the water, sugar and vinegar, and stir until the sugar has dissolved. 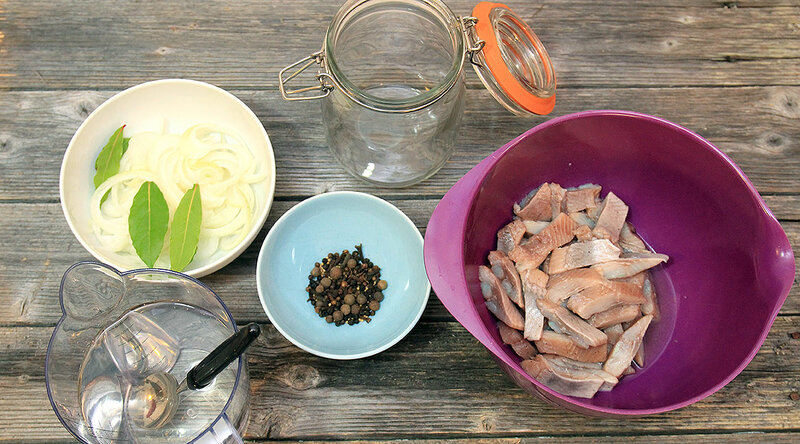 Arrange the herring, onion, bay leaves, and spices in layers in a glas jar. Divide the spices between your containers if you are using more than one. 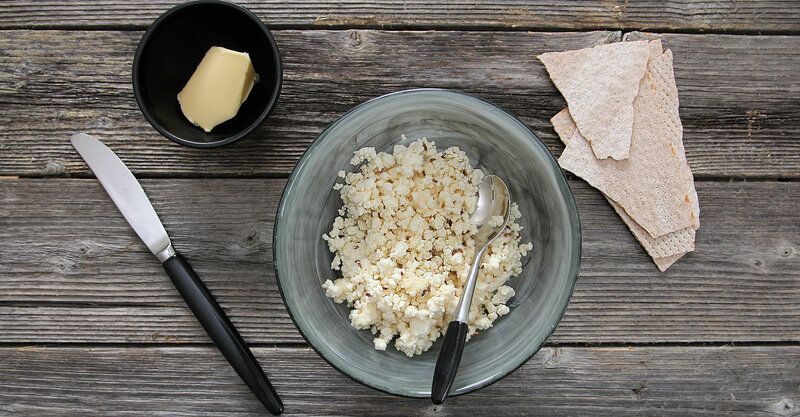 Pour over the pickling liquid so all the ingredients are completely covered. Cover and refridgerate. Wait at least a day before eating. 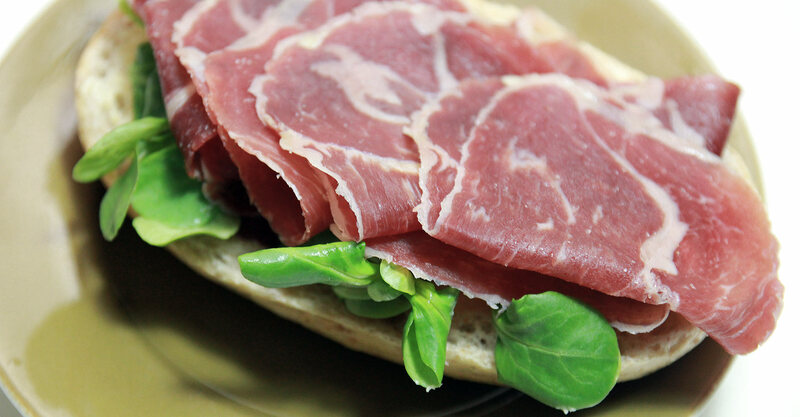 Serve with the onions, over buttered bread to make open sandwiches or for dinner with hot potatoes and sour cream. I’m Canadian from Northern Ontario. We don’t have access to sea water fish but we’ve been processing smelt and white fish in a similar manor to your herrings and the old school ways of doing things really are worth trying out. The flavours are amazing, even with these fish. ‘correct’ fish to use- don’t. These are universal recipes and the Norwegians really know their prepared fish, so just trust them and adjust your own recipes accordingly.